Academics in Industry: Cartographer redefined. 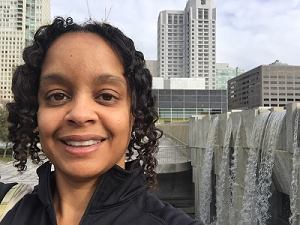 Indy Hurt is a data scientist at Gap Inc. She leads all spatial analysis for the global real estate team. Prior to Gap Inc, Indy was one of the coordinators for geospatial research at Apple and later provided spatial data analysis and outreach for open source mapping startup, Mapzen. Between graduate degrees (Geography Ph.D., UCSB; M.S. GIS, University of Redlands; Geography B.A., UCLA), she was an instructor for Esri. When she’s not analyzing data, her hobbies include singing, sewing, hiking, and traveling.